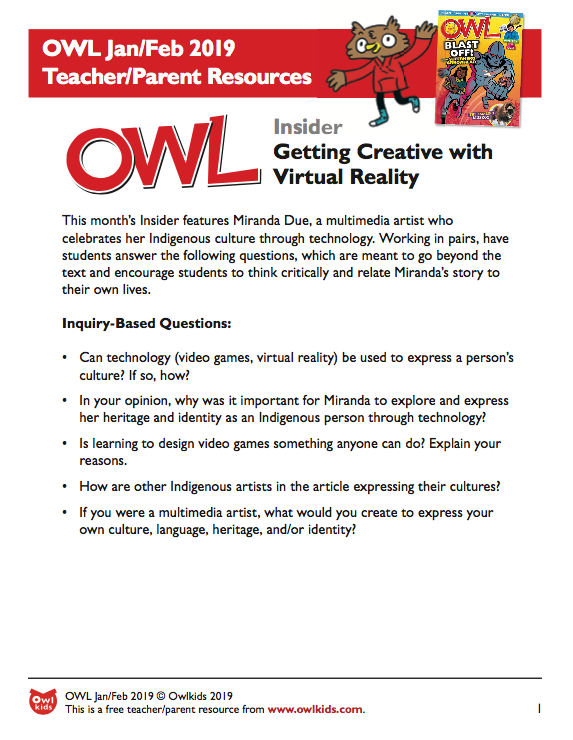 Discuss how video game creator Miranda from this month’s Insider relates to readers, unpack terms about the muskox, and research snowboarding facts after reading our “cool” article about the sport in Snapshot. Hey Teachers and Parents! Sign up for our newsletter to receive news, special offers, and seasonal activities from Owlkids.